Thanks!!! in response to a report titled: Which battery for trolling motor? 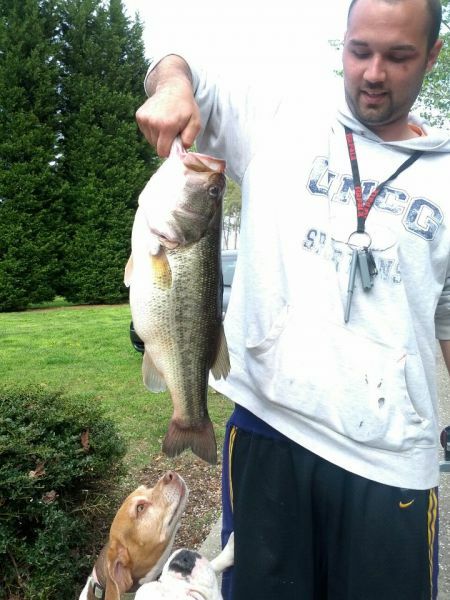 I caught my first big bass yesterday on Lake Brandt in Greensboro. She weighed in officially at 6.25 lbs, 21' long, and 16' girth. I'm still feeling high as a kite from it. 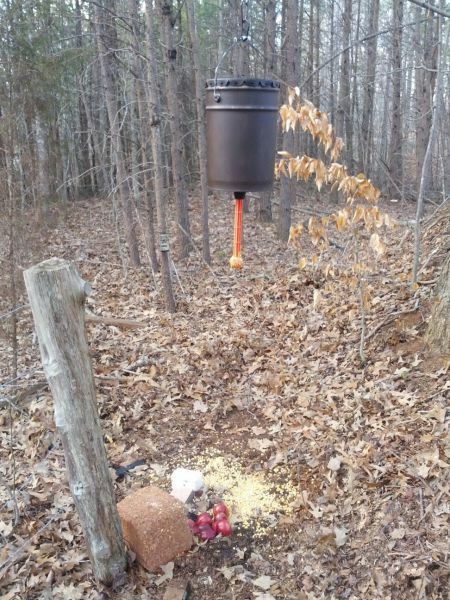 I recently put up a nudge feeder for our deer. 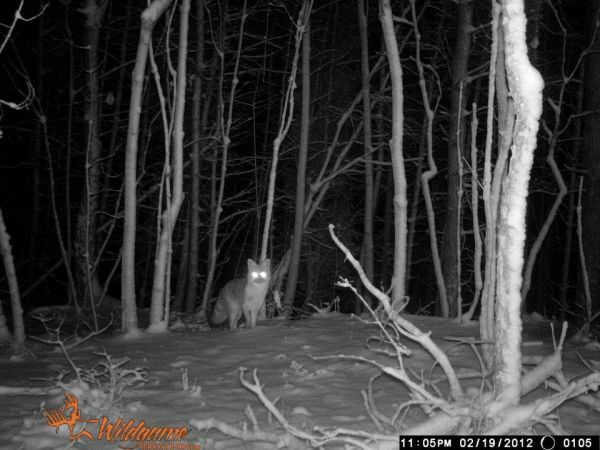 Before that, I just had some food blocks and corn out on the ground and was getting hundreds of pictures every night and day on my trail cam, mostly of deer. Since putting up the feeder, I am not getting many pictures and the deer that do come are not eating from the feeder. I still have the food block on the ground below the feeder. Should I take this away to force them to use the nudge? Could it just be that my scent is still there over a week later? I have peanut butter smeared all over the nudge bar. Here are a few shots from my first trail cam. I got some beautiful pictures of a fox and some does during this week's snow. Just thought I'd share as I love being able to see these guys now that I have a trail camera. A comment titled: Thanks!!! in response to a report titled: Which battery for trolling motor? Thank you so much for all that awesome info. I just got back from Walmart and think I picked up the right thing. I am attaching a picture below that shows all the information. Good lord, that is an awesome day of fishing. Congrats! Make it available for Android! Thanks everybody. I ended up releasing the fish in a nearby pond the same day I caught her. Since I have measurements, could I have a replica mount made? If so, does anyone know how much that sort of thing cost? Thanks! The videos and pictures are all from the same WGI WX6AC camera. I'm still new to deer hunting, but I thought I read it was kind of late for the antlers to not have shed yet. I guess I should be looking for that to happen any day now? I'm glad I caught them though because they are the first bucks I have caught myself. They seem to get along well. Finally got some bucks, albeit small, on camera! This is inspiring for a fairly new hunter like myself. Thanks for sharing and congratulations! I definitely didn't mean to imply I was offended! I understand this is a cheap camera and that there are much better ones out there. I just wanted to throw that link out there and mention that I have been impressed with it so far, especially for the money, in case anyone looking for a decent inexpensive trail cam stops by. Thanks for all the comments! I have a Muddy and love it. It really seems like a sport in itself actually. Hopefully I'll have a few bucks to throw up here soon. That is wild looking. Thanks for the picture! 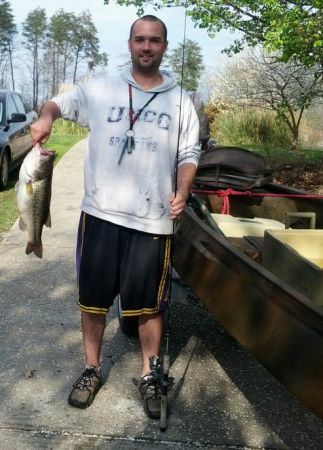 I am a 27 year old husband, hunter, and fisherman.